James Rodriguez isn?t satisfied with his status at the club. He plays much less than he would like to. And there was an incident with Bayern?s sporting director! James isn?t happy with his playing time. In his eleven competitive matches this season, the 27-year-old has been allowed to play only once for full 90 minutes. He was substituted four times late and six times early in the game. The fact that he regularly has to leave the field early seems to anger the Colombian. He has played only 58 minutes per game on average. We can recall a very similar problem he had in his last season at Real Madrid. 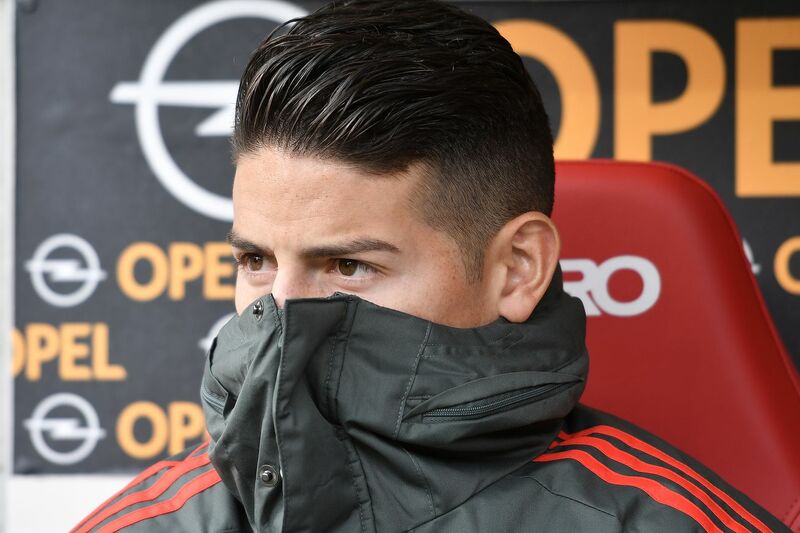 As reported by Bild, after the game against Mainz, where James was benched, things took a confrontational turn. As Salihamid?i? went to shake hands with James, James refused! That angered Bayern?s sporting director, who barked at James in Spanish: ?You?re wrong!? It is unclear what James meant by refusing to shake hands with Salihamid?i?. TZ speculates that a promise regarding the starting lineup was not kept and notes that James had also not followed Kova? ?s instructions, requiring all players to warm up before the game. James allegedly had stayed in the locker room.